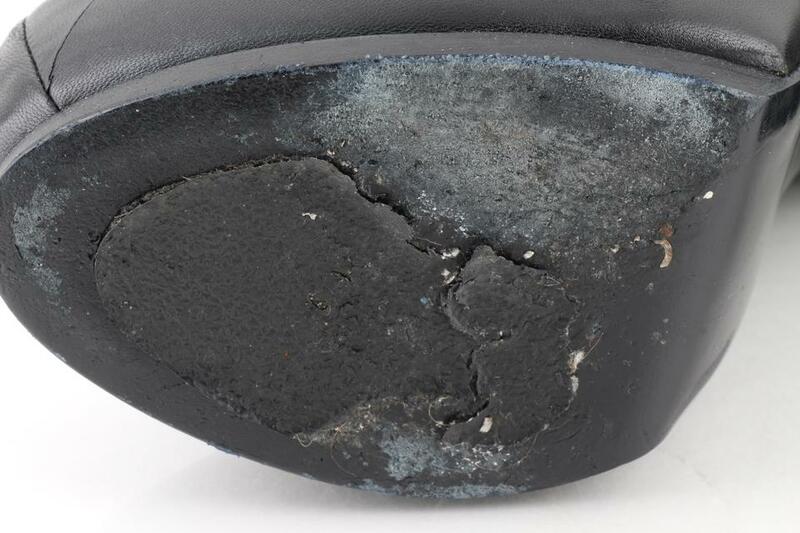 This item is pre-owned and and has a few signs of wear. 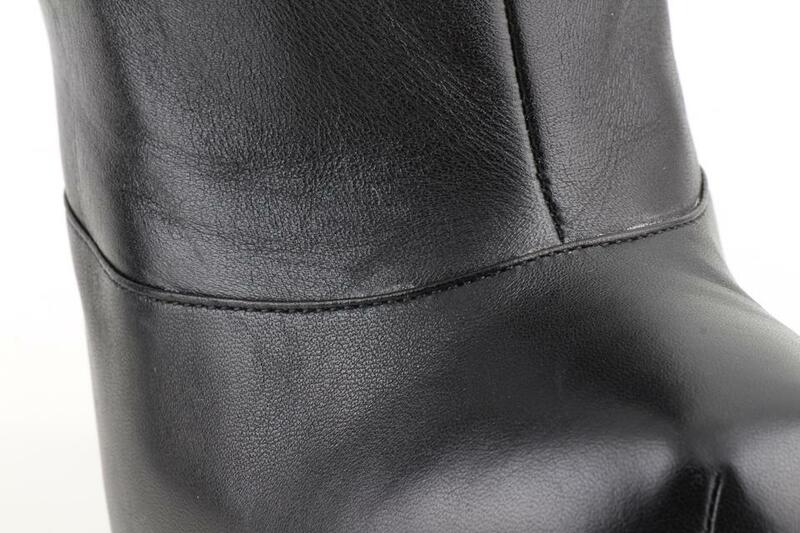 Overall, wear is not immediately visible and, although, the shoes don't look, they have a lot of life left and are still a beautiful design and leather. These super chic boots are crafted of black lambskin leather with a cross over leather strap that buckle with a brass buckle. 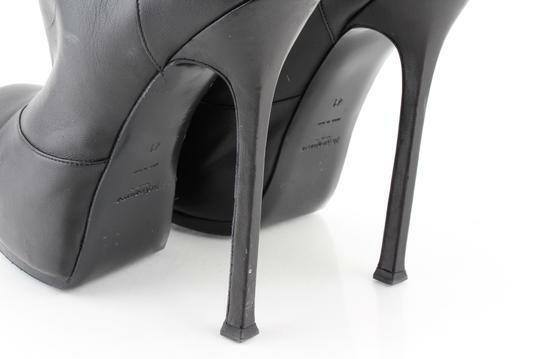 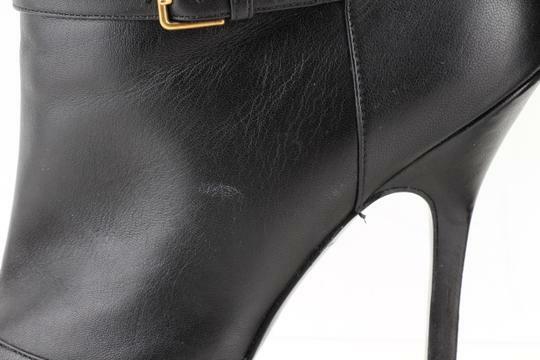 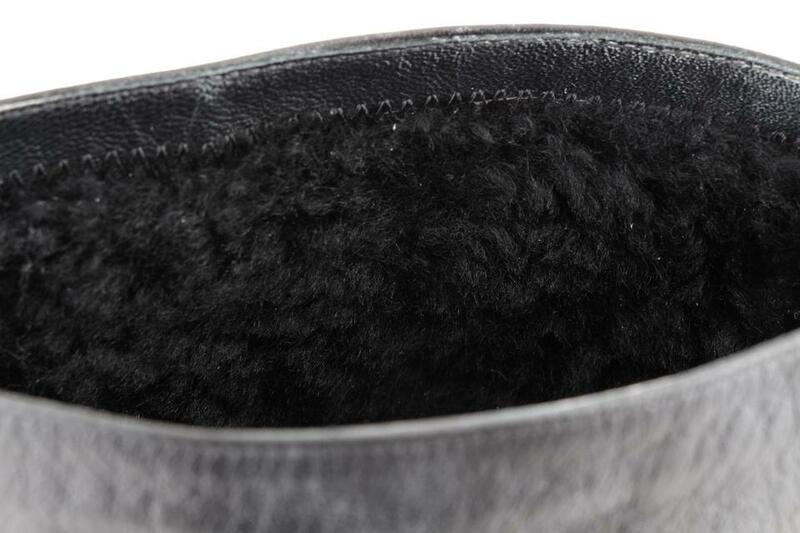 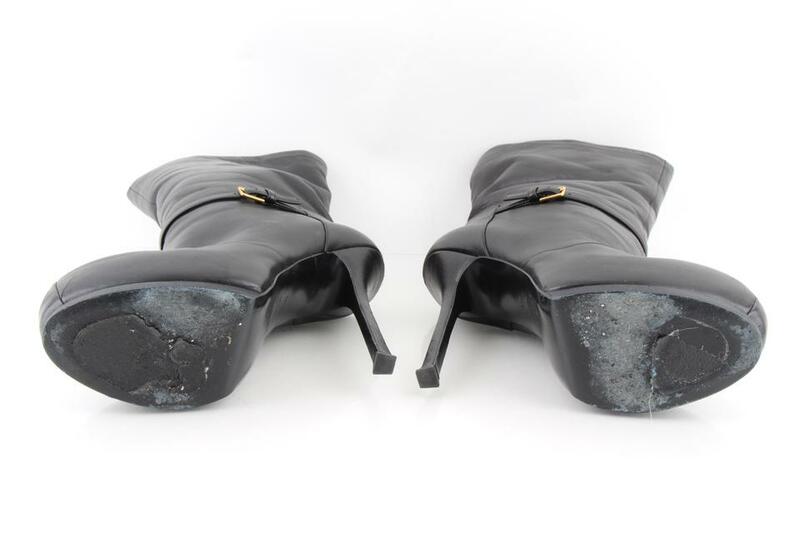 These boots feature a 1.5 inch platform, 6 inch squared heel, fur insoles in black, and can be worn with the tops flipped over to create a fur edged top. 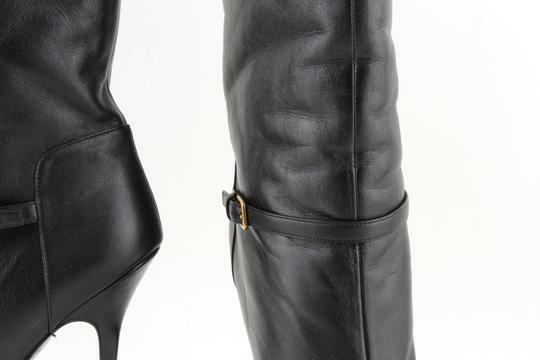 These are excellent boots that are as versatile as they are chic only from Saint Laurent!